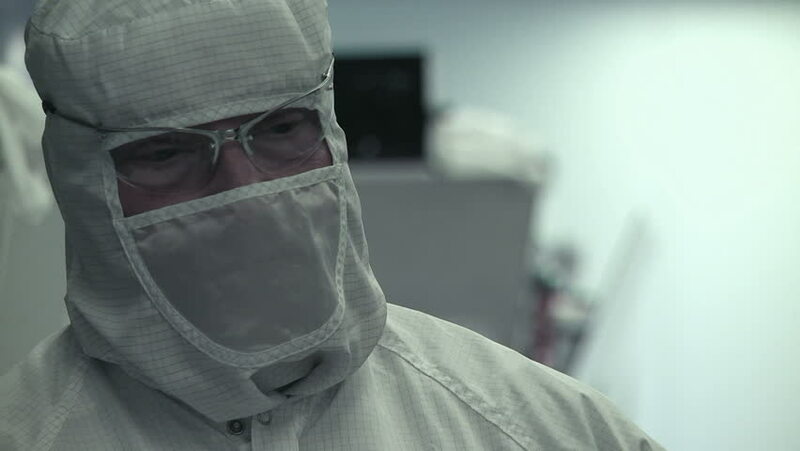 Big close up of a technician working on silicon chip manufacture in a clean room, wearing full body white "bunny suit" coverall to avoid contamination. hd00:08Tailor Neck Woman Body Measuring. Tailor measuring different parts on a woman's body for a suit production. Measures for making women's suit. Textile confection. hd00:14Makeup artist working with a girl. hd00:27Technician checking a photographic process while working on silicon chip manufacture in a clean room, wearing safety glasses and a full body white "bunny suit" coverall to avoid contamination.